Irish budget airline Ryanair (the biggest airline in Europe) is bracing for another staff walkout in no less than six European countries today. Overall some 250 flights are bound to be canceled and more than 100,000 passengers will be affected. Ryanair cabin crews in Germany, Belgium, Portugal, the Netherlands, Spain, and Italy (joined by pilots in Germany) are seeking better pay and conditions. Only in Germany, the airline was preparing to cancel 150 of its 2,400 foreseen European flights for today, however when the pilots from Germany's Vereinigung Cockpit pilots' union (VC) decided to join in, additional flights would be canceled. The Irish budget airline had already seen a strike in August when 55,000 customers were affected in a one-day action when pilots from five European countries walked out at the height of the summer holiday season. Related coverage: <a href="http://thegoldwater.com/news/38110-Ireland-Passenger-Runs-After-Plane-On-Tarmac-Telling-Pilot-To-Wait"> Ireland - Passenger Runs After Plane On Tarmac, Telling Pilot To Wait</a>. The head of Ryanair’s marketing team, Mr. Kenny Jacobs admitted that the decision by the German VC organization to participate in the strike would result in another 35 to 45 flights to and from Germany not taking off. Whereas the budget airline was very popular a few years ago, the fight with other budget price proposers has meant that staff switched to operators like Norwegian and Easyjet, who offer local working contracts. Staff at Ryanair are obliged to sign an Irish employment contract with minimum conditions. 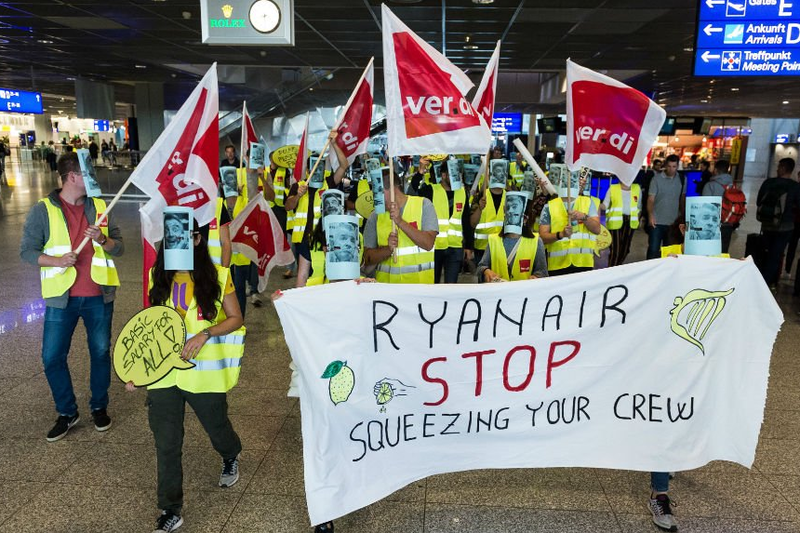 “These strikes show that, despite its recent rhetoric, Ryanair has a long way to go before it enjoys sustainable industrial relations,” Mr. Gabriel Mocho Rodriguez, civil aviation secretary at the International Transport Workers’ Federation (ITF), claimed.